EFT stands for Emotional Freedom Technique. It is a method you can use to release your emotional stress by tapping on various points on your body. EFT therapy is a combination of modern psychology and ancient Chinese acupuncture. Acupuncture is an ancient healing modality used for thousands of years in China. Chinese medicine has for thousands of years known that energy flows in channels called meridians. The term "meridian" describes the overall energy distribution system of the body. Meridians are channels or vessels. They carry the vital life force, or qi, to the organs and other systems of the body. Each meridian connects to a different organ and has an endpoint. It is a specific location on the surface of the body where you can access the energy channel. You can manipulate these points using needles or touch. As you stimulate these points, you can unblock the stagnated energy flow. Under normal conditions, the flow of energy in the body is smooth and even. All areas of the body receive plenty amounts of energy. ​Discover how stress can manifest body pain. Click here to read more. ​The trouble starts when negativity creeps in. Chinese physicians can detect imbalances in meridians by feeling the pulse. According to Chinese medicine, diseases manifest when there is an energy blockage. They also learned to fix them by stimulating the points with needles. ​Another discovery they did was the ​mind and body connection. Most meridians have a name after an organ that it controls. According to Traditional Chinese Medicine, each organ is in charge of certain emotions. Organs and glands are frequency generators. They create our feelings. So when you feel a specific negative emotion, it is a gland or organ that produces that emotion. For example, if you feel anxious, it is either your spleen or stomach that emanate those emotions. So how does acupuncture relate to EFT? To understand that you need to learn the history of EFT. Dr. Roger Callahan was a trained psychologist that worked on his client Mary. Mary struggled with a severe water phobia since her childhood. She was afraid of water in all forms, whether from bathtubs, rain, oceans or swimming pools. Her level of fear was so extreme that even bathing her two children was stressful. This trauma had been going on for as long as she could remember. She then sought Dr. Callahan’s help. He treated Mary with all traditional psychotherapy techniques. Callahan tried cognitive therapy, hypnosis, relaxation therapy, rational-emotive therapy and more. Nothing worked. This wasn’t the first time those techniques had failed. Dr. Callahan became disappointed with the lack of concrete results. He and Mary made minimal progress during the year they worked together. Mary still felt anxious when she put her feet in the water. Then one day everything changed. Dr. Callahan had an interest in Chinese medicine and meridian points. Mary felt a knot in her stomach when she thought about water. Dr. Callahan remembered what he had learned about the meridian system. He knew that the stomach meridian endpoint was below the eye. So he asked her to tap that spot with her fingertips. 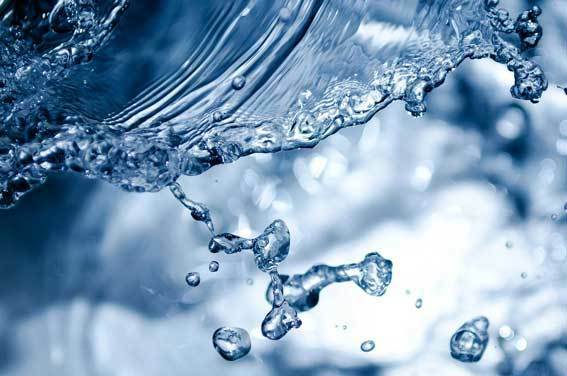 From that day forward, her water phobia vanished. As a result of the experience with Mary, Dr. Callahan deepened his study of meridians. He developed a set of sequences of tapping, to address different issues. If you had a phobia, such as a fear of heights, you would use one series of tapping points. And if you were angry about something you’d use a different sequence. Callahan had a student called Gary Craig. After learning and using Callahan’s algorithms, he simplified the tapping sequence. He later termed it EFT, short for “Emotional Freedom Techniques.” EFT hits all primary meridian endpoints, regardless of the issue. Gary not only simplified the process but also created a community around the technique. Thousands of people around the globe are now aware of tapping and use it in their daily lives. So what is the difference between EFT and acupuncture? EFT is part of an emerging field known as energy psychology. It is acupuncture without needles. Chinese medicine requires years of practicing before you can excel at it. The practitioner needs to learn how to diagnose the problem and where to put the needle in the body.vEFT and Chinese medicine share the same meridians. There’s nothing magical about the EFT points. They are acupuncture points discovered by the Chinese thousands of years ago. If you put the meridians and EFT points together, you'll notice they overlap. EFT is the shotgun approach to acupuncture. Instead of stimulating a particular point you tap on all meridians. You can get similar results by putting needles on a specific meridian. But it’s easier to touch the face, chest, and hands than learn the whole acupuncture system. Learn ​why stress can lead to cancer. Click here to read more. ​The diagram below illustrates the meridian points that we use with tapping. 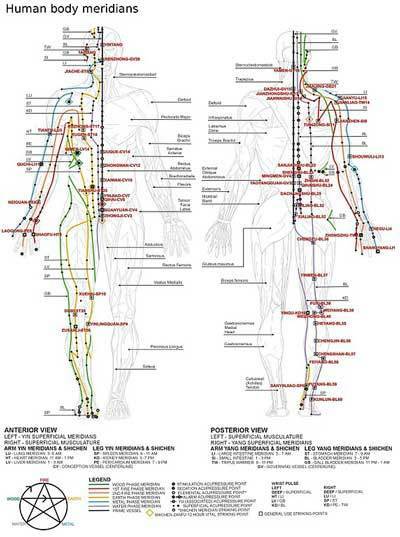 These are the same meridian points in traditional Chinese medicine and acupuncture. Stimulating these points helps to restore the free flow of energy in the body. They can become stagnant due to persistent negative emotions and thoughts. Tapping gets to the root of what’s going on and balances the mind and body. It changes how we feel, and experience the world. To understand why EFT works you need to learn what happens when you're under stress. Science has established that the stress response begins in the amygdala. Amygdala comes from the Greek word for “almond.” It is one of the components of the limbic system or midbrain. The midbrain sits between the frontal lobes and the hindbrain. Another name for it is the reptilian brain. It is the earliest, most primitive part of the brain. The limbic system is the source of emotions and long-term memory. It is here where we encode our negative experiences. The amygdala is the body’s smoke detector. It identifies danger and signals to the brain to go into fight-or-flight mode. Previous negative experiences can program the amygdala. The next time you experience something similar it will activate the alarm. If you almost drowned when you were four your body remembers the stressful event. The subconscious mind then stores it as a memory. So the next time you get near water, the amygdala will warn you not to get near it. Your nervous system releases lots of stress hormones when you're under threat. These stress hormones include adrenaline and cortisol. They prepare the body for an emergency. The heart beats faster, muscles tighten, and the blood pressure rises. Your senses become sharper, and your breath quickens. ​Afraid of cancer? Click here to ​learn how to release your fear now! These physical changes increase your strength and stamina. They also speed up your reaction time and enhance your focus. The stressors in ancient days were real threats to survival. Today, however, the fight-or-flight response is seldom activated by a physical threat. Most of our reactions today are internal. A negative memory or thought from the past can trigger stress responses in us. Your nervous system can't distinguish between emotional and physical threats. So it will react the same way. Chronic stress disrupts nearly every system in your body. It can suppress your immune system or upset your digestive and reproductive systems. It can even rewire the brain and make you more vulnerable to anxiety and depression. Tapping can turn off the amygdala’s alarm and deactivate the brain’s arousal pathways. Touching the meridian endpoints sends a calming response to the body. Tapping increases the body’s endorphin levels. Endorphin is the “feel-good” neurotransmitters. Retraining the limbic system in this way alters the neural pathways in your brain. After you do some tapping, you lose the emotional attachment to the memory. The brain’s routes are not permanent. ​Discover how to release your death fear. Click here to read more. You can always modify them. You can develop new ways of thinking and perceiving the world. Like Mary, you, too, can release debilitating fears, thoughts, and memories. So let's learn how to do that with EFT. You can learn to do EFT within minutes. In the following section, you will discover the 8 step ​EFT formula. ​Choose your Most Pressing Issue (MPI). Rate your MPI between 0-10. 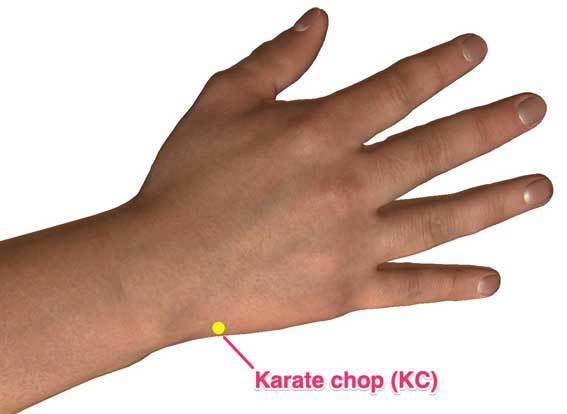 Speak your setup statement three times while tapping on the karate chop point. Tap through the eight points in the EFT sequence while saying your reminder phrase out loud. Tap five to seven times at each location, starting with the eyebrow and finishing at the top of the head. Take a deep breath and rate the intensity of your MPI using the 0-10 scale. Repeat, or move on to a different MPI. Now that you have a sense of what you’re diving into, let's learn how to do EFT. ​Now that you have a sense of what you’re diving into, let's learn how to do EFT. The first step in the EFT process is to start focusing on your Most Pressing Issue. It’s the most troublesome issue that dominates your mental and emotional space in the present. ​What’s bothering you most right now? What are you most stressed or worried about? Some common MPIs include work, diseases, or relationships. Take a moment and think about what's bothering you right now and write it down. Or, you can also do it in your head. Tapping on a more general issue can improve your mood and make you feel better. But adding details that create specificity draws the focus more on that issue. Pinpoint what happened, people involved, what you felt in your body, and so on. As a result, you’ll have a better ability to rewire the brain’s response to it. Maybe the issue you came up with is your fear or cancer. This is a rather broad statement, so think about the specifics behind the situation. For example, rather than saying, “I’m afraid of cancer” you might say, “I’m afraid that cancer will kill me and stop me from seeing my kids.”If you ever get stuck on the exact language, focus on the feeling. Or visualize a picture of what happened and then describe it. Do whatever it takes to get a clear memory or feeling, and that will do the job. Now that you know your MPI, rate the intensity on a 0-to-10 scale. This is called the SUDS, or Subjective Units of Distress Scale. Think about your MPI. What level of distress does it bring up for you? Ten is the most distress you can imagine. Zero means no discomfort at all. Don’t worry about getting the SUDS level exact. Follow your gut instinct. 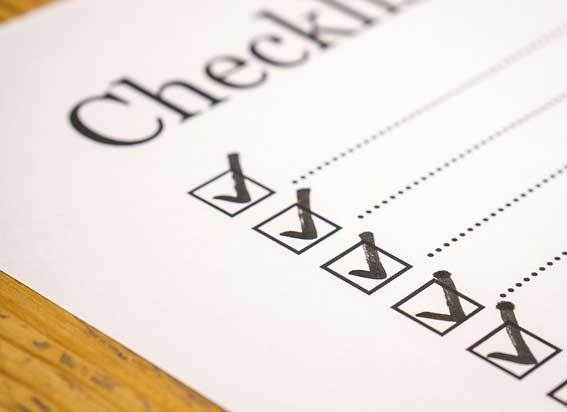 To see a significant shift in an issue, start with something you can rate at 5 or higher. Even though ____________________ [fill in the blank with your MPI], I deeply and completely accept myself. Go on and try to create a setup statement for your current most pressing issue. Don’t worry about getting the wording right. Write anything that comes to mind. Once you have your setup statement, the tapping can begin. You’ll start by saying your setup statement three times while tapping on the karate chop point. You can tap with whichever hand feels most comfortable to you. Tap at a pace and force that feels right. You can’t get it wrong. After you’ve said the setup statement three times, you’ll move on to the next stage. You'll start tapping through the eight EFT points while saying the reminder phrase. The reminder phrase is a short version of your MPI. It's a couple of words that bring to mind your MPI. You will speak this phrase out loud at each of the eight points in the EFT sequence. 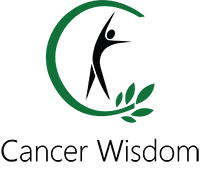 "Even though I’m afraid that cancer will kill me and stop me from seeing my kids, I deeply and completely accept myself"
Repeat this phrase while you tap on different acupuncture points. You do this to remind yourself of what you want to focus on. It is far easier to repeat a shorter phrase than saying the setup statement. Say your reminder phrase while tapping on these points. You can tap with either hand, on any side of the body you want. Tap five to seven times at each point as you work through the sequence. This doesn’t have to be an exact count. If it feels right to tap 20, 12, or six times on one point, then do it! The idea is to spend enough time at that point to speak your reminder phrase and let it sink in. Don’t worry about getting it perfect the first time, just try your best. Take a deep breath after you have finished your first round. Feel your body and notice what’s happening inside you. How do you feel on a scale from zero to ten? Go back and think about your problem and check how it feels now. Keep tapping until your Most Pressing Issue finds enough relief that you feel okay about it. This may mean getting the SUDS level down to a 2 or 3. Or it may mean clearing it, so it’s at 0. Tap long enough to release your pain. Do five to ten rounds. Commit yourself to get the relief you need. Once you’ve cleared your MPI, move on to the next issue you want to release. As you tap, different layers or aspects of that issue will arise. Often you start with one target and then find something else underneath it. For example, your problem might be the anxiety you feel as you tap on that emotion. It may reveal another layer such as sadness. And so it continues, until you clear an issue. ​Emotional problems are often multilayered. You need to face every layer and clear it until you feel relief. ​EFT stands for Emotional Freedom Technique. ​It is a combination of modern psychology and ancient Chinese acupuncture. Meridians are channels or vessels​. Each meridian connects to a different organ and has an endpoint. ​The amygdala is the body’s smoke detector. Touching the meridian endpoints sends a calming response to the body​ and alters the neural pathways in your brain. ​​Follow the eight steps above to release your emotional stress with EFT. Think about a topic you want to tap on and start the whole process. You learn best by trying. ​It may take some time to learn the tapping sequence and points. But the more you practice the quicker it goes.